What Should You Know About Recertifying IDR Plans? What Should You Know About Recertifying Income-Drive Repayment Plans for Student Loans? One of the major downsides to income-driven repayment plans (IDR plans) for federal student loans is that you must recertify with the Department of Education each year. Your loan servicer should notify you four to five months before the recertification deadline if you are enrolled in one of these programs (IBR, PAYE, REPAYE). Recertifying may require you to send the Education Department your tax return information from the past year. Fortunately, the Education Department’s website links directly to the IRS and your most recent tax return. Many borrowers forget to recertify or their paperwork is not processed by their loan servicers before the deadline. The consequences are severe if you fail to recertify on time. IDR plans set monthly payments to a percentage of your discretionary income. If you fail to recertify, your payments increase to what they would have been under a standard 10-year repayment plan. Failing to recertify might also add unpaid interest to your principal balance. What Can You Do If You Forget to Recertify Your IDR Plan? Fortunately, you are not “kicked out” of your IDR program even if you forget to recertify. Your payments will revert to a standard 10-year repayment plan, but you are still counted as “enrolled.” If you have forgotten to recertify, you may have several options to remedy the situation. Call your loan servicer and ask to recertify as soon as possible. While your servicer is reviewing your income and household information, they may place your loans into a temporary administrative forbearance. This should temporarily halt unaffordable payments while your request is being processed. If you did not receive notification from your loan servicer, make sure they have your most recent contact information (email, phone number and address). In the event you forgot the deadline, ask your servicer which date you must recertify by next year so you can mark it on your calendar. Unfortunately, the recertification process is not perfect. Future blogs will cover possible ways the Education Department could improve this process. 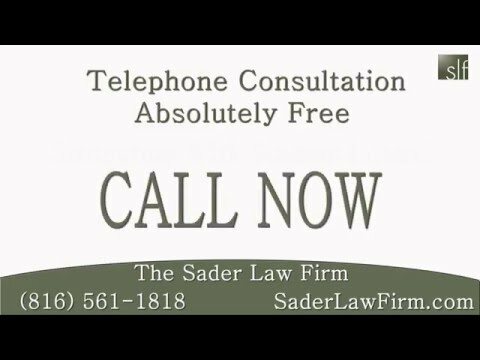 The Kansas City student loan bankruptcy attorneys at The Sader Law Firm can help people struggling with their finances find possible solutions for managing debts. ← How Can You Lower Student Loan Payments?